Hanzo vs. Ashe: the ultimate archer showdown. 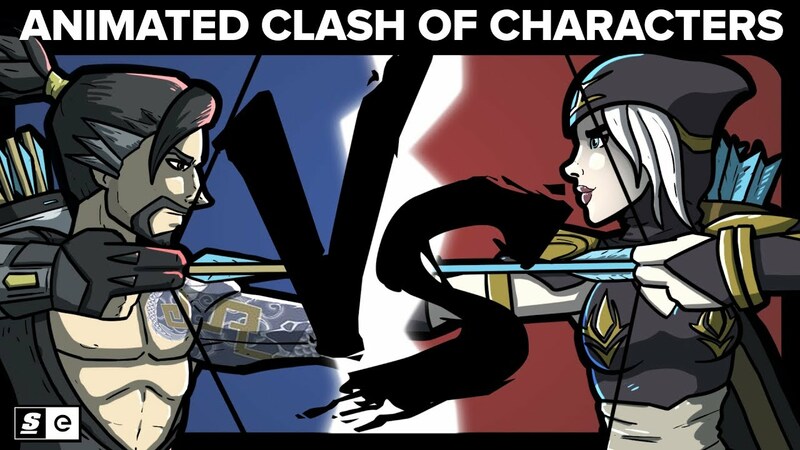 Our second episode of Animated Clash of Characters features two of esports' most recognizable characters. After duking it out last time to prove whether Yasuo or Genji would win in a fight, Sean Wetselaar (the office's most beloved League of Legends expert) and Colin McNeil (who lost brutally last time) are back. Can Colin bring it back in episode two? To do it, he'll have to blatantly cheat at least once. It's time for another animated fight to death to prove who reigns supreme.